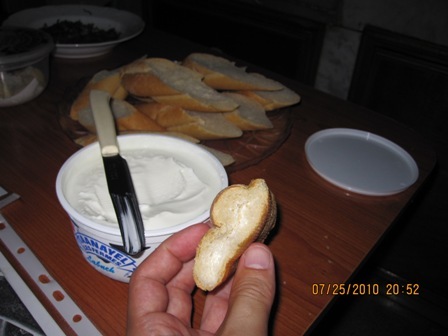 Labneh is a cheese made from yogurt. Yes, yogurt! It is probably one of the lightest cheeses around and the easiest to make. Only two ingredients are needed to make Labneh: Plain yogurt and some salt. Equipment? Just a cheesecloth or traditionally a bag made with linen or cotton. Labneh can be very versatile on top of it being nutritious. In Lebanon it is a main part of the Mezzeh when combined with pounded garlic, olive oil and dried mint. 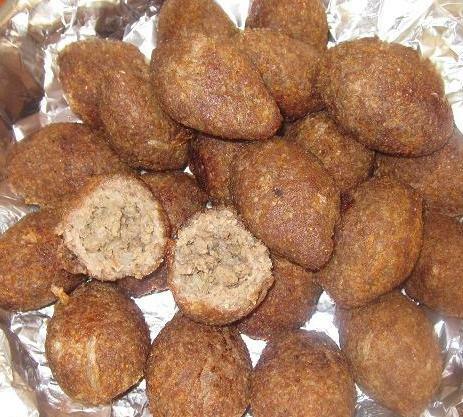 It also can be an ingredient in Mana’ich (Man’oucheh) whether it is eaten with fresh vegetables or as an accompaniment to ground meat. It can also be eaten in a sandwich or roll with several veggies, combined with Zaatar or as a dip or stuffing for Kibbeh. It also can be stored in the shape of small balls in olive oil. Labneh’s texture is similar to cream cheese, only the taste tends to be more on the sour side. Especially if it is made from goat milk. Usually it is made from cow milk and it can equally be made from skimmed or non fat milk. Labneh’s nutritional values are similar to yogurt’s, for further details follow this link. The pictures are courtesy of my Taste-Bud Clint. They were taken during his recent vacation in Lebanon.